Is Your Child Ready for Adventure Camps? It was 4 years ago when Gy took her first steps into an overnight adventure camp organized by her school and I remember how her cheeks flushed with excitement as we went about picking out all the accessories for the trip. 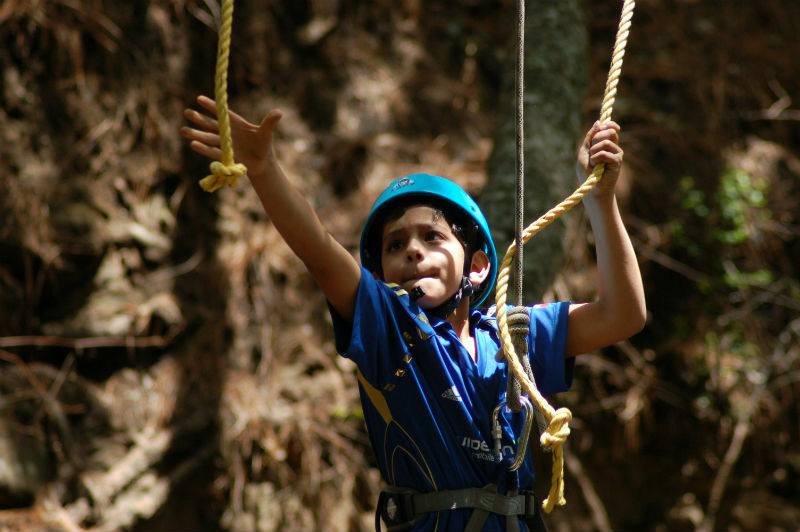 As a parent, I believe it is important that we allow children to experience everything from Nature to hands-on outdoors fun and one ideal way to do that is with adventure camps. With this in mind, I discussed the concept of these adventure camps with the head of INME, an outdoor adventure camporganization and they were kind enough to share their views on the topic in an interview. Thank you, INME, for patiently answering all my queries. 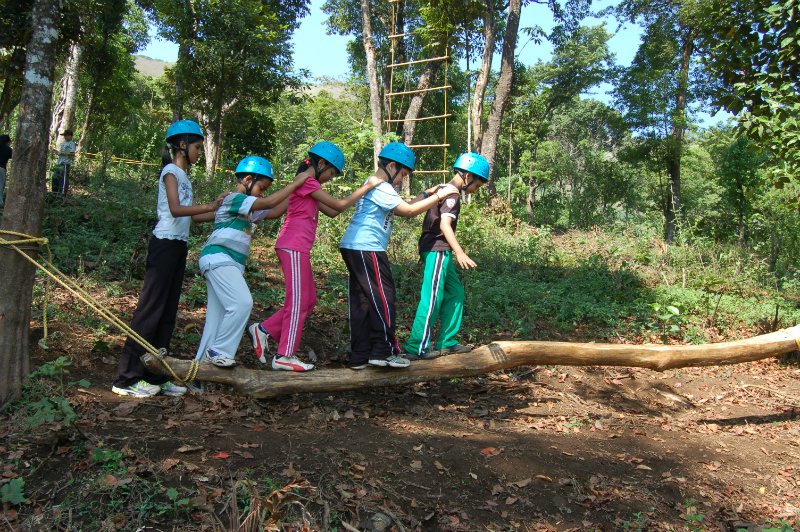 Shailaja: Why should kids participate in Adventure camps? INME: We believe that the great outdoors lend themselves to instilling a sense of awe, which helps open young minds to both introspection and new experiences. We believe that when children are out of their comfort zone, they learn to rely on themselves and make their own decisions. In these times it is very important for children to learn how to disconnect from the gadgets and modern world around them. Being in the real wilderness can in itself be a life changing experience. When poised against the elements in the playground of the great outdoors, the struggle; heightened emotional state and honest internal conversation teaches humility, respect for the environment and the realization of being a mere speck in the larger scheme of nature. Shailaja: What would you recommend as the best age to start kids off on these camps? INME: After a lot of research and experience of working with kids, we have seen that children who are 9 years and above are at the perfect cusp of stepping out into the world away from their family. In fact, we have a specially designed program for 9-11 year old children who are coming on a program for the first time. That program is designed to engage the kids and make them start relying on themselves. Shailaja:What would you say is the parent’s role in an adventure camp? INME:It’s absolutely essential that the parents encourage their child to explore. The parents have a great impact on the expectations of a child and help set the tone of the experience. Having the right attitude and expectations from a program goes a long way in making sure that the child gets the best of their experience. Shailaja:How would you address safety and security concerns for both parents and kids? INME:The safety of children is of paramount importance. We have a mandatory child instructor ratio of 1:5 which is one of the best in the world. All the technical equipment is UIAA certified and a fully qualified doctor is with the kids on the campus. Our inventory of 350 types of medicines range from basic headache and fever medication to nebulizer and steroids. We have an emergency vehicle stationed on our campus at all times. The idea is to be prepared for an emergency even if it is not needed in 99% of the cases. Our programs are delivered by our world class instructors who are not just good at handling the physical safety of a child but are also equipped to handle their emotional safety. We have earned the trust of 1800+ children and their parents through feedback for all our programs and acting on them. Shailaja:Do we need any outdoor equipment apart from what you would provide? INME: For our programs we provide all the technical equipment which is essential on the program. Participants just need to carry their personal clothing which is comfortable for physical activities. We have a kit list for every program which is a handy reference for packing light. The kit list is designed to keep the child equipped for any unpredictable weather elements. Shailaja: Can the principles of experiential learning on these adventure programs be applied to our urban lifestyle as well? If yes, how? 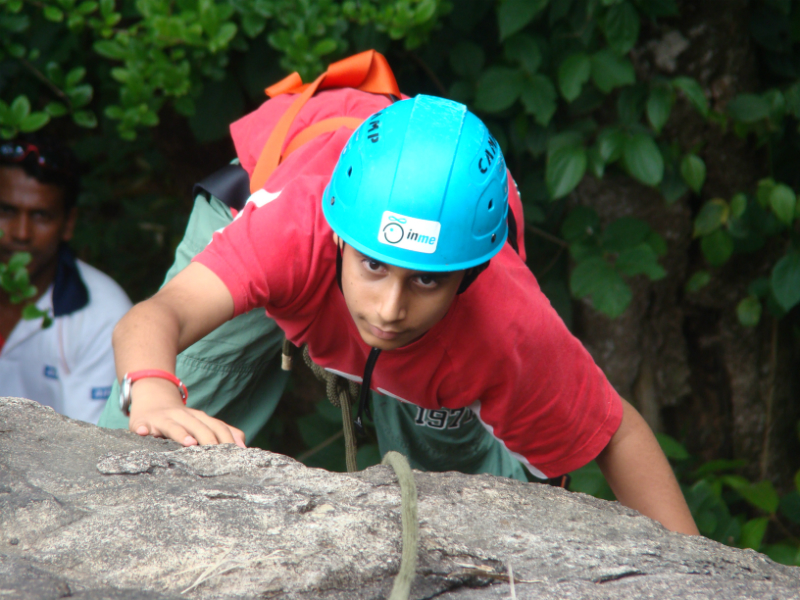 INME: Outdoor and adventure based challenges lend themselves beautifully to provide opportunities to engage, learn by doing, stretch beyond ones limits and build on the success experiences – each a powerful component of a rich learning method. Depending on the activity, one gets to learn to adapt to situations and the environment, collaborate and work as a team, evaluate risks, make decisions and own the consequences. Parents, have you ever sent your child on an adventure camp? Would you do it now? 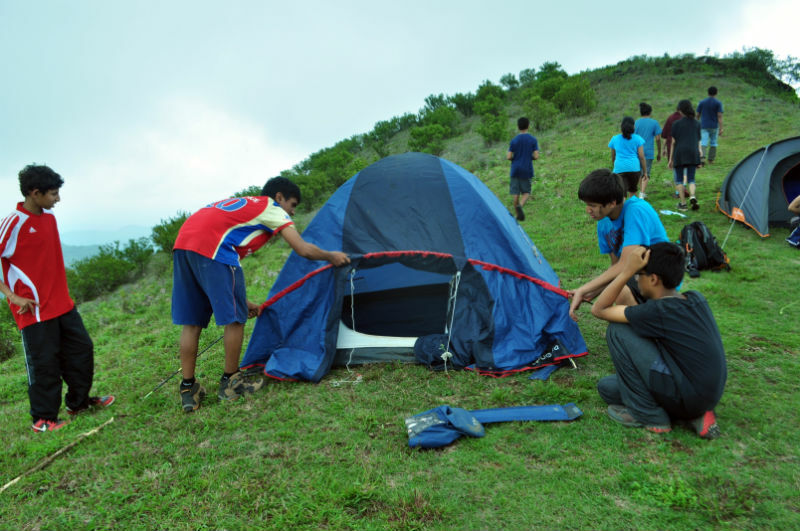 To know more about INME, the programmes they offer and anything on the subject of adventure camps, you can reach out to them for more information. INME programs are outdoor adventure and challenge based experiences for 9-17 year olds that are conducted in the wilderness. Their programs are an engaging mix of fun and learning and are designed and led by outdoor experts and behavioural science practitioners.Using the power of the experiential method participants pick up life skills, gain confidence, become independent, learn to work with others, and have opportunities to dig deeper into their potential. We offer programs ranging from ones designed for the first time camper and going up to those for the challenge seeker. You can learn more about INME via their website or their Facebook Page. Superb post. Thanks for sharing the importance of adventure camps. Really it would help many parents like me. Thanks for sharing the info Shailaja. Have been a little scared of sending N all by himself till now. He's a little bit of a distracted child.Will check them out. I am sure such experiences can add so much to a child's growing up ! Thank you Puja. Glad you found it useful! Okay Thank God camping days are far away for me. I would totally be those moms whose kid is happy to go and she is crying because her S has grown up. Hehe. I am with Jaibala here. I would be that kind of mom too. Not because I can't bear to part with the kids, that i'd do only too happily, but because I find it tough to trust strangers with the kids. 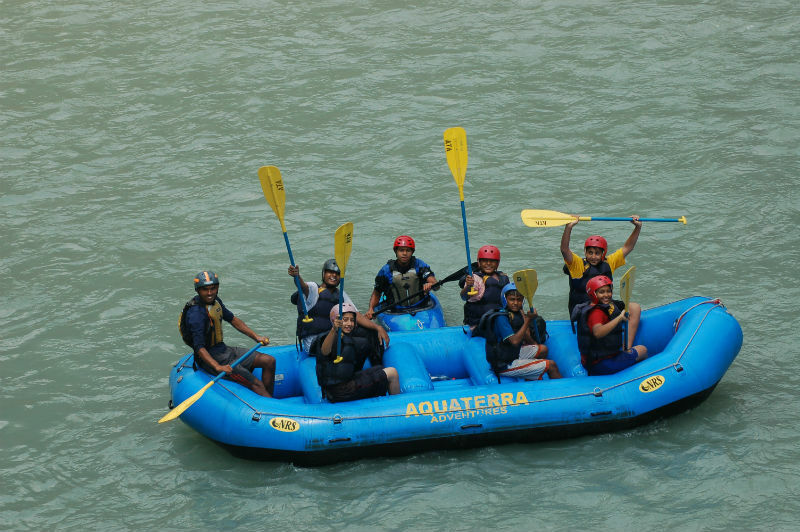 More so on adventurous settings – with water bodies or mountain treks etc. I do take the kids out on nature walks and treks and they absolutely love it but entrusting them to a stranger is not in my comfort zone, not unless the kids can take responsibility for themselves.